Courtesy photo The Southern NH Cavaliers Squirt 2 team celebrates its championship on Saturday. The Southern NH Cavaliers Squirt 2 team ended the season with the North A Championship title. The Cavaliers had a busy weekend as they played Saturday at the Haverill Valley Forum. Goalie Jake O’Brien gave a shutout performance against Haverill’s Squirt AA2, earning the Cavs the Valley Hockey League Squirt North American A Championship. 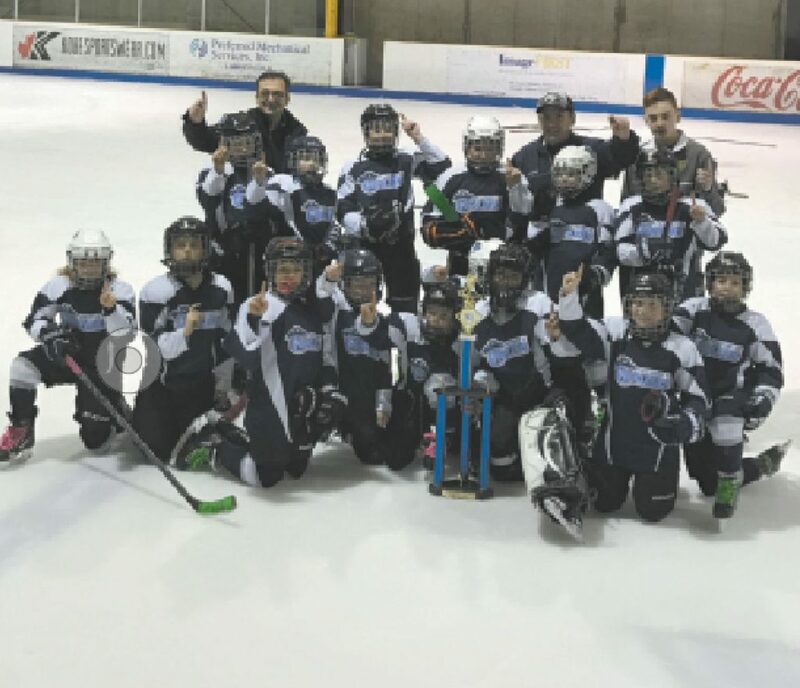 Back at the Forum on Sunday, coach Jay Kelly and assistant Coach Frank Cini brought their Squirt 2 team to victory capturing the VHL Squirt North A Championship. The Cavs battled for the title against Burlington (Mass.) Squirt AA. Burlington’s Will Morrison tapped one into the net just minutes from the first puck drop, but that was quickly matched with an unassisted goal by Robert Flynn. Cavalier Flynn brought in goal two and then earned his hat with an assist from forward Broden Pratt to end the period 3-1. Burlington came back gaining two goals and ending the second period with a tied scoreboard. The Cavs dominated the third with Flynn adding two unassisted goals. As Burlington attempted to make a comeback, Owen Murphy increased the lead with an assist from Aine Kelly. All the while goalie O’Brien denying Burlington from finding the back of the net. A buzzer beater goal shot by Cavalier Nick Thurlow, assisted by Pratt ended the game with a 7-3 final. Congratulations to the Cavalier Squirt 2 team for a well-played season!